10.2 What are the Tradeoffs? Fluorocarbon is made up of organic compounds comprised of chlorine, fluorine, and carbon. Its molecules are more tightly packed and heavier by size, making products made from fluorocarbon tough and solid. Fluorocarbon lines are stiffer than monofilament lines and have a higher sinking quality, which is added advantage for someone who likes bottom fishing. They have been around for decades and given the various benefits it offers, the fact that many competitive anglers prefer them over monofilament lines is not a surprise. 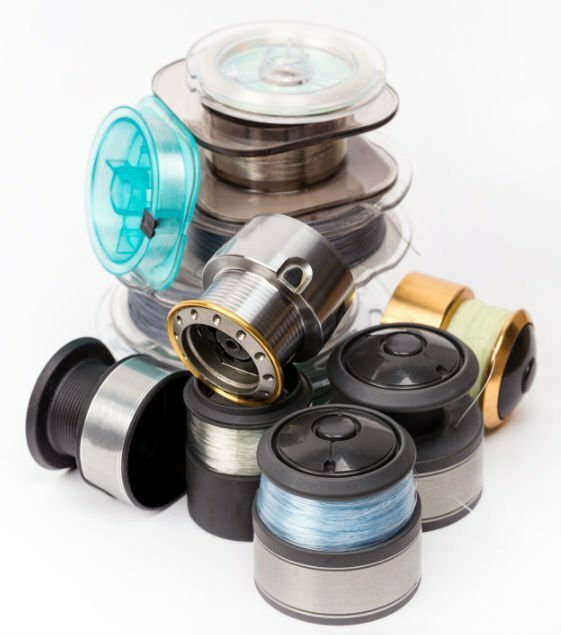 In this post, we examine the best fluorocarbon lines and what they have to offer. The Berkley Vanish is the best fluorocarbon for someone looking to get optimal strength, durability, and reliability. It is one of the most popular fishing lines and this is attributed to the ease of casting. Designed as part of Berkely’s Vanish series introduced more than 10 years ago, this line is made with advanced technology and offers up to 20% more strength than other models in its price range. It has a superior strength and abrasion resistance, making it ideal for all weather conditions. It is made from 100% fluorocarbon, which refracts light similar to water. You will not have to worry about fish seeing the line under water and fleeing. The line is very sensitive with minimal stretch, allowing you to feel the nibbles of hooked fish. The Berkley Pro Spec is a professional grade fluorocarbon fishing that has been tried and tested by professional tournament captains. It offers maximum invisibility thanks to a super thin diameter of 0.022 inches and clear or coral pink color. The line is chemical resistant, abrasion resistant, non-absorbent, UV-resistant and highly impervious to damage by extremely cold weather. It offers incredible knot and crimp strength, hence good for dragging baits along the bottom. The increased strength allows for a better and bigger catch. It is very sensitive and this makes it easy for you to know when a fish is hooked. The Seaguar Abrazx is the tougher alternative to Invizx and offers crystal clear performance under the water. Abrazx is popular for the extra tough resistance to abrasion and knicks encountered when fishing in worst possible cover. It offers exceptional impact and knot strength. In addition, Abrazx is less invisible in water as compared to monofilament lines. The line is chemical resistant, UV resistant, high density, non-absorbent and impervious to extremely low temperatures. It is made from 100% Seaguar’s resins and produced using the company’s extrusion process to deliver unparalleled performance. The uniform diameter of 0.010 diameter offers better castability while allowing you to cover a significant part of the fishing area. The Seaguar Invizx Fluorocarbon Line is a great choice for someone who is big on low memory. It is a step up from the Red Label and a more affordable alternative to the Seaguar Abrazx. It is considerably softer than most of Seaguar’s fishing lines and has a low memory on reels. Combined with the fact that this line comes in a 1000 yard spool, you will be able to cover a wider area with ease. It comes in multiple sizes, with the 8lb being perfect for drop shot fishing. You can use the 12lb for your crankbait rods and the 17lb is perfect for flipping jigs and creature baits into wood or shallow grass. The Seaguar Blue Label offers up to 40% more knot strength than competing models. It is designed to be unable to refract light passing through it, making it virtually invisible and effective when aiming at skittish fish. Its incredible strength allows you to drag baits along the bottom while the increased sensitivity allows you to know when a fish nibbles on the line. Seaguar did a great job of ensuring that this line has a high density so you won’t have to struggle to make it sink. The deeper it sinks, the better the chances of reaching the fish and creatures on the water floor. The Seaguar Red Label is an affordable 1000 yard fluorocarbon line that offers high-quality features to make every fishing expedition enjoyable. With its incredible tensile strength and nearly invisible performance, this line is bound to be a favorite for many anglers in different fishing locations or applications. It is made from 100% Seaguar resins and undergoes an innovative extrusion process. This ensures greater strength to endure all kinds of fishing conditions and improves the longevity of the line. In addition, it allows for better abrasion resistance and impact strength, hence ideal for an action packed fishing experience. It is an excellent line for beginners who are just starting out and don't want to splash on their equipment. The Sunline Super FC Sniper is coated with triple resin and offers soft supple handling for ease of use. 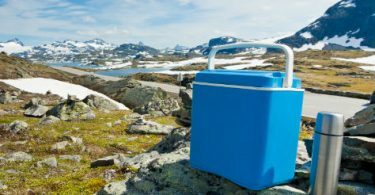 It is highly resistant to abrasion and, therefore, less susceptible to damage when used for action-packed expeditions. It has a super small diameter and contrary to what one may assume, this doesn't affect overall strength or ability to handle heavy fishes. The line ensures a long yet smooth arc when casting so you don't have to deal with backlash problems. It is suitable for bottom fishing as well as heavy cover applications since it is stiffer and denser than monofilament lines. Besides that, it has a low memory and this is beneficial because it reduces the line in the water between the fisherman and lure. The line is incredibly sensitive and has low visibility in the water. The Stren Fluorocast is one of the most manageable fluorocarbon fishing lines on the market thanks to its super thin diameter. It is easy to cast and offers nearly invisible under water, hence better chances of hooking fish. The high-density line runs deep and can be used for bottom fishing. It is amazingly sensitive and offers exceptional knot and impact strength in the event of hard hook sets. 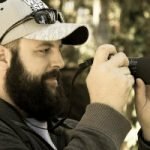 Due to the fact that it has low memory, you can expect long and accurate casts regardless of whether you use it with the same reel as the last time. The P-Line Tactical comes from a line of premium fluorocarbon lines designed for maximum strength, low memory, high density and invisible performance. It was built using new technologies in raw materials as well as extrusion. It is not only one of the most durable and strongest lines on the market, but its long casting capabilities make it an excellent choice for any application. This line provides an invisible presentation to improve your chances of success when aiming at skittish fish. Concluding our list of best fluorocarbon fishing lines is this model from Ande, which comes in 50-yard wrist spools and 1lb bulk spools. It is available in multiple test sizes from 20- 150 pounds and is totally invisible under water. The line boasts excellent knot strength and abrasion resistance. It also has low stretch and does not absorb water. Its high-density nature allows it sink to the bottom quickly and the fact that it comes at an affordable price makes it all the more suitable for beginners. Low visibility: One of the biggest benefits offered by fluorocarbon lines is that they are almost invisible under water. This is attributed to the refractive index of fluorocarbon, which is nearly the same as that of water. The ability to appreciably distort light passing through the line is a huge factor in clear water. Sensitivity: Fluorocarbon fishing lines have tightly packed molecules that transmit more energy as compared to monofilament lines. This ultimately means better telegraphing information like light bites or lure ticking bottom from the other end of the line. It also allows for increased sensitivity and less slack between rodtip and lure. Waterproof: Unlike monofilament lines, fluorocarbon lines do not absorb water. You can expect the same amount of strength, handling, and sensitivity below the surface as it offers when dry. It performs the same during the first and last cast. Abrasion resistance: An added benefit of fluorocarbon lines is that they are extremely abrasion resistant. This makes them a top choice for anglers looking to fish in thick covers for bass or dragging baits along the bottom. Toughness: Fluorocarbon lines are tougher than standard monofilament lines of the same diameter made from nylon. This is due to the tightly packed fluorocarbon. The last thing you will need to worry about is your line weakening with time because of continued exposure to harsh ultraviolet rays. It will just shrug UV off without any ill effects. Hooking power: Because it doesn’t have the low-end stretch of nylon monofilament lines, fluorocarbon provides more solid hook sets. This is a key consideration if you want an accurate hook set at the end of a long cast. Even though it offers many benefits over other fishing line materials, fluorocarbon is not without its downsides. For starters, its fast sink rate makes it unsuitable for small baits and topwater lures. It is very stiff and this makes manageability very difficult. Fluorocarbon lines tend to fail if one cinches down a known without wetting them. The good news is that a properly moistened Trilene or Palomar knot offers excellent strength. Another downside of fluorocarbon has to do with its shock strength, or rather the ability to absorb sudden impact. It falls between super line and mono, and you can compensate for the low strength by loosening drag. Choosing the right fluorocarbon line can make the difference between catching a whole lot of fish and none at all. Here are some things you should look for when shopping for a fluorocarbon line. Diameter: This affects the castability and stretch of your fluorocarbon line as well as its visibility under water. 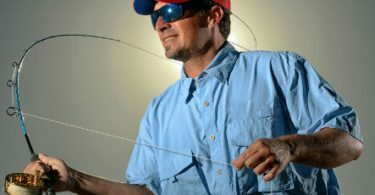 Look for something with a smaller diameter because it easier to cast and more invisible while under water. While bigger diameters provide more stretch and allow you to cover a wider area, it also makes the line very stiff. It’s up to you to consider the tradeoffs you can live with and make a choice that best suits your needs. Visibility and color: Fluorocarbon is highly invisible and some of the lines come in different colors that may affect visibility. Consider the type of environment and condition of water you will be fishing in. Go for a low visibility color like blue or grey if fishing in clear water. High visibility lines are a good option when fishing in the dark as they make it easy for you to see the line movement. Cost: I always say the more expensive a product, the longer it will last. Given its nature as a hard metal that includes organic compounds, fishing lines made from fluorocarbon are generally expensive. Models with added features like UV-protection and flexibility are pricier than ones with standard features. Ultimately, this boils down to personal preference and how much you are willing to spend. Tensile strength: The rating strength varies from one fluorocarbon line to another. Choose your preferred tensile strength based on the type of fishing you are looking to do. Also, consider the type of fish you want to catch and the place where you are fishing. Abrasion resistance: This is a property allows your fishing line to resistant wear and damage. It is the ability of a fluorocarbon line to suffer minimal damage when exposed to harsh conditions like sharp rocks. Go for the model with the highest abrasion resistance you can afford for the ultimate longevity.